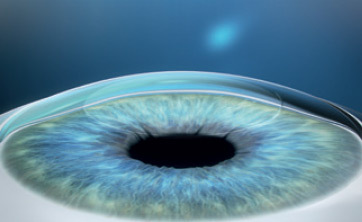 The SMILE procedure is used to correct nearsightedness from -1 to -8 dpt with or without astigmatism. SMILE is a minimally invasive laser procedure using solely a femtosecond laser. 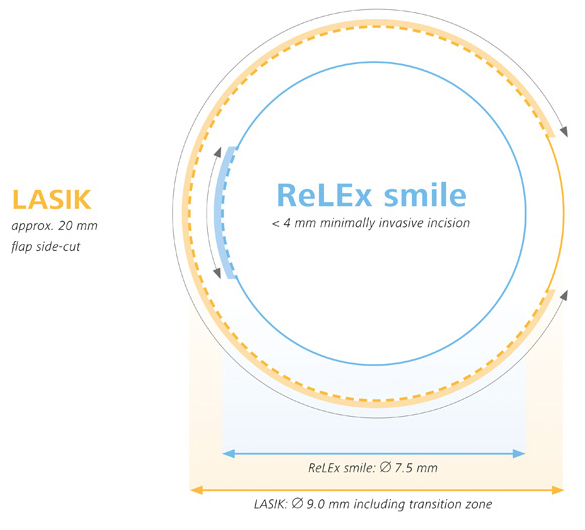 Synonyms for SMILE are Small Incision Lenticule Extraction, ReLEx, Refractive Lenticule Extraction, Minimal invasive LASIK. SMILE is especially suitable for patients with dry eyes or a rather thin cornea. 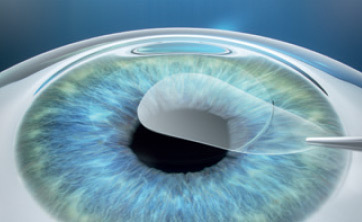 In a single step, the VisuMax creates a refractive lenticule and a small incision of less than 4 mm in the intact cornea - virtually regardless of the ambient conditions of corneal structure. 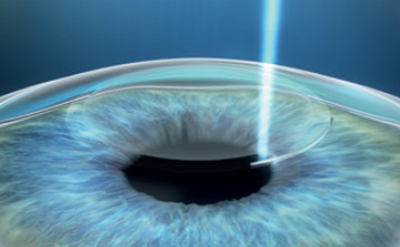 The removal of the lenticule changes the form of the cornea, creating the required change to the refraction. With less than 4 mm, the incision for lenticule extraction is 80% shorter and and the cap incision area up to 30% smaller than for a Femto-LASIK flap. This implies a smaller impact on the biostability of the cornea, a lower incidence of dry eye syndrome and a decreased risk of infections, epithelial ingrowths and flap complications. Der Nachteil des SMILE Verfahrens gegenüber der Femto-LASIK besteht in dem eingeschränkten Anwendungsbereich: SMILE eignet sich nur für die Korrektur der Kurzsichtigkeit (von -3 bis ca. -8 pdt) mit oder ohne begleitende Hornhautverkrümmung. Eine Nachoperation kann nur als oberflächliches Augenlaserverfahren (LASEK oder PRK) durchgeführt werden.